A new Cold War has taken shape between nuclear-armed Russia and the United States with very little public debate, just a return to hostile rhetoric and military moves and counter-moves over Ukraine, an issue that journalist Robert Parry has followed over the past year and a half. 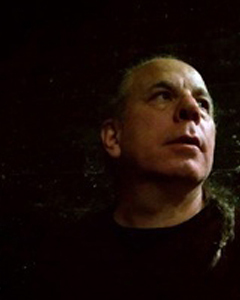 Parry, a longtime Washington-based investigative reporter and editor of Consortiumnews.com, was interviewed about the crisis by Dennis J. Bernstein for Pacifica Radio's Flashpoint program. DB: It looks like the U.S., with Barack Obama leading the charge, has entered what you call "the second cold war." What do you mean by the second cold war? RP: There has been a sharp increase in tension, obviously, between the United States and Russia. We've seen a very divergent way of looking at the problem. The United States and mainstream media have taken a very propagandist view of what occurred in Ukraine. The Russians have taken a very different view, which, perhaps to our amazement, is more accurate than what the United States is saying. Because of these two divergent narratives, the countries have essentially plunged back into a cold war, where there's a lot of hostility, threats of military escalations, with the U.S. sending military teams to essentially parade along the western border of Russia. Some of those countries are NATO allies, and others, like Ukraine, may want to become a NATO ally. So these tensions are building up, that oddly don't have much direct connection to U.S. national interests, but have become a kind of cause celèbre in Official Washington where everyone just wants to stand tough against the Russians and bash Putin. It's become almost a self-perpetuating dynamic. The Russians have taken a very different perspective, which is that the United States is encroaching on its borders and threatening them in a strategic manner. They also look at what happened in Ukraine very differently. They see a U.S.-backed coup d'etat in February 2014 that ousted an elected president and put in a regime that is very supportive of free market, neo-liberal policies, but also includes very strong right-wing elements, including neo-Nazis and far-right nationalists. A crisis was created and tensions continue to spiral out of control. DB: Let's talk about the origins of this cold war rhetoric. First, we have Barack Obama leading the charge. He has become a real cold warrior, hasn't he? RP: He's certainly allowed some of his underlings to use very aggressive rhetoric against the Russians, particularly Assistant Secretary of State Victoria Nuland, who led the charge in supporting the coup in Ukraine in early 2014. DB: When you say coup, most people don't know that occurred. Was there a coup? RP: Of course there was. There was an armed uprising that involved some very far right neo-Nazi militias that had been organizing and penetrating into what became the Maidan protests against the decision by the elected President Yanukovych not to go ahead quickly with an association with the European Union. That became increasingly violent; including some mysterious sniper attacks killing police and demonstrators, and getting the two sides to go at each other. There was a political effort on Feb. 21, 2014, where Yanukovych agreed to reduce his powers and have early elections so he could be elected out of office. It was signed by three European countries to guarantee it. The next day there was a coup. These right-wing groups surged forward, seizing buildings, and Yanukovych barely escaped with his life. Very quickly, despite the very unconstitutional nature of this change of power, the United States and European Union recognized this as legitimate. But it was obviously something the ethnic Russians, especially those in the eastern and southern Ukraine, found objectionable. They were the bases of support for Yanukovych, so they began to rise up, and this coup d'etat then merged into a civil war. DB: You have previously said the U.S. played an active role in this "coup." RP: There's no question. The U.S. was supporting, through the National Endowment for Democracy, scores of political organizations that were working to overthrow the elected government. There were other U.S. entities, like USAID, as well as members of the U.S. government. Sen. John McCain went to Kiev, spoke to this very right-wing group, and said the U.S. supports you and what you are doing. Then there was the famous phone conversation that was intercepted between Assistant Secretary of State Nuland and Ambassador Jeffrey Pyatt where they discussed who was going to take over after the change of power. 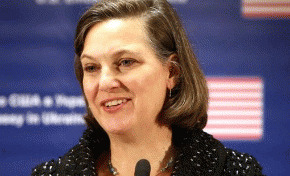 Nuland put forward that Yatsenyuk "is the guy," who after the coup became the prime minister. There were all the markings of a coup d'etat. More neutral observers, who have looked at this, including the head of the Stratfor think tank (George Friedman), have called it the most obvious coup he's ever seen.